Today is Good! 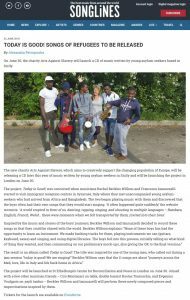 Songs of refugees to be released - Today is Good! On the website of the prestigious world-music magazine Songlines an article about the release of Today is Good CD.